The Office of Marketing and Communications (OMC) is responsible for the development and implementation of the campus's strategic marketing plan through coordinating and managing marketing efforts and promotional activities to further enhance the campus’s unique brand and image. 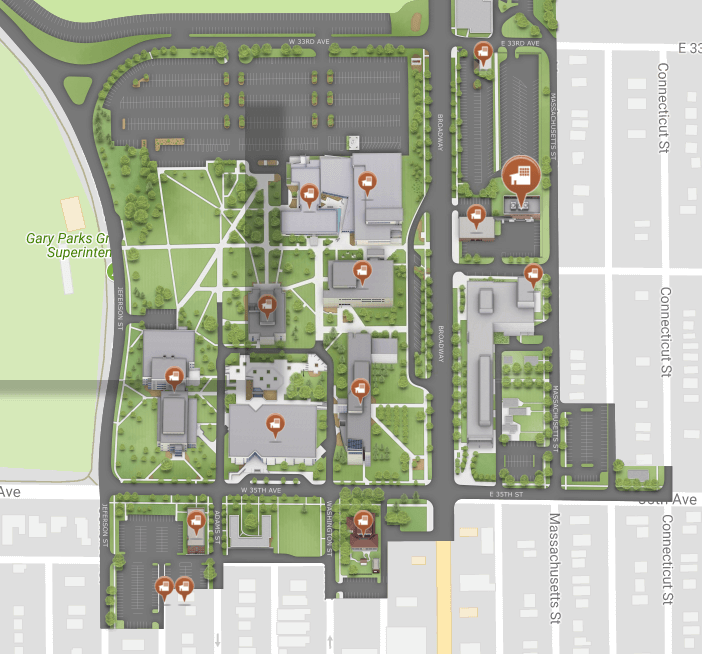 The primary purpose of our office is to promote the campus and increase the public's support and awareness of the mission, goals, and objectives of the Northwest campus. In addition, the office plays a vital role in promoting the achievements and activities of IU Northwest's faculty, staff, students, and alumni. The OMC also provides media advisory services for divisions, schools and departments as well as acting as the first contact for external media, providing press releases, and coordinating media interviews with campus experts. In addition, the OMC coordinates the campus’s advertising strategy by designing and implementing advertising and promotional activities, producing publications, and ensuring consistency in all marketing materials.